Monday and time for a new card based on a sketch from Kortskissen #311. I had many ideas for this fun sketch but I ended up with this card, three flowers in a row, and since I really need get well cards the sentiment says Get well, in Swedish. 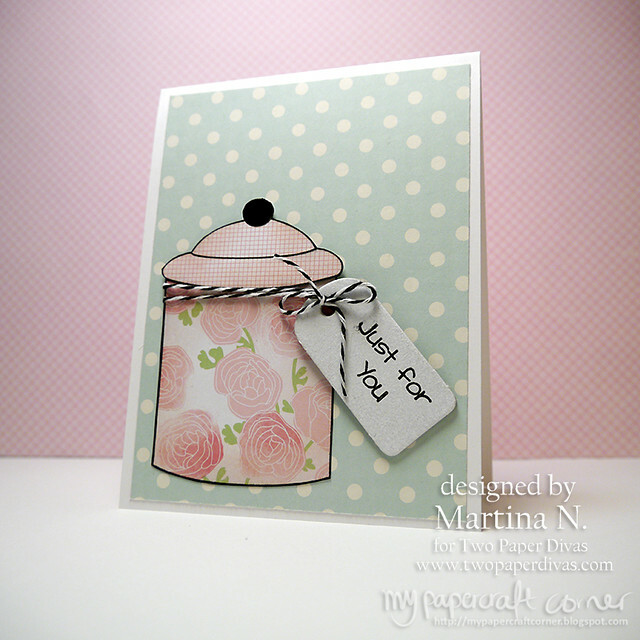 The stamps comes from WPlus9 and I used Distress Inks for the background and Hero Arts Ink for stamping the flowers. 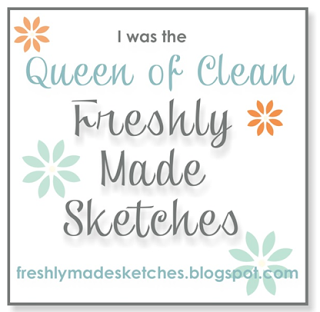 I also used my old Dymo label maker for the sentiment. 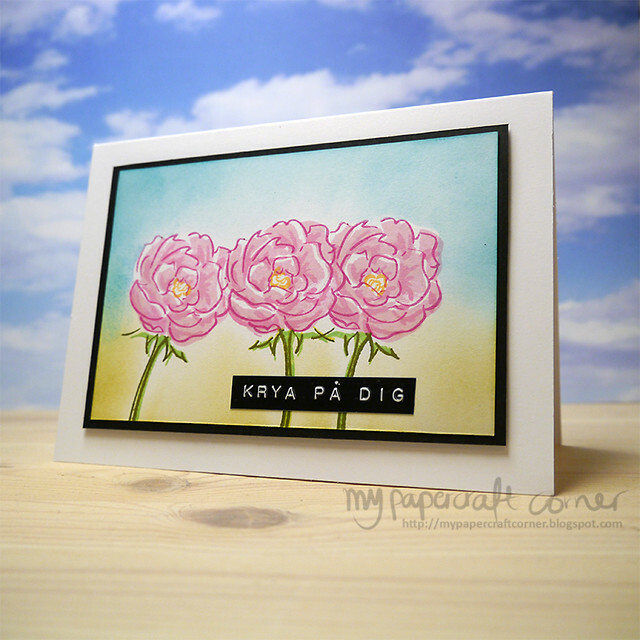 Please go and check the other beautiful cards Kortskissen #311. I'm also entering the card to the challenge Simon Says Wednesday Challenge Anything Goes. Have a nice week and thanks for your visit! Hope you have a nice weekend. I just spent the last day cold, but I hope it will be better soon. At least I had the power to finish my card that I started earlier this week. Here's the other card I made when I played with my watercolors. I got inspiration to the colors from The Card Concept #37 and I stayed in my "comfort zone" and made a clean and simple card. 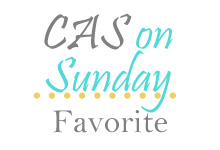 I combined it with the sketch from CAS(E) this Sketch #127. I used the Twig & Berry Wreath from Two Paper Divas and white embossed it on top of the watercolored pieces. The sentiment comes from Banners #3, Two Paper Divas. Ink: Versa Mark ink, Versafine. This weekend I played with my Kuretake Gansai Tambi watercolors. I will share another card later this week. For this card I wanted to make a bokeh effect. The background is watercolor paper and I used a die from Simon Says Stamp to cut it out. I then added the colors and when it was dry I added white pigment ink with a circle stencil and some circle stamps. The banners are stamped with stamps from Simon Says Stamp with Hero Arts Ink. I cut them out and added some eyelets. I used an alphabet stamp set from Lawn Fawn for the sentiment, it says Get well in Swedish. Finally I added some twine and sequins. The card is based on a sketch from Kortskissen #309, please check the other cards over there. 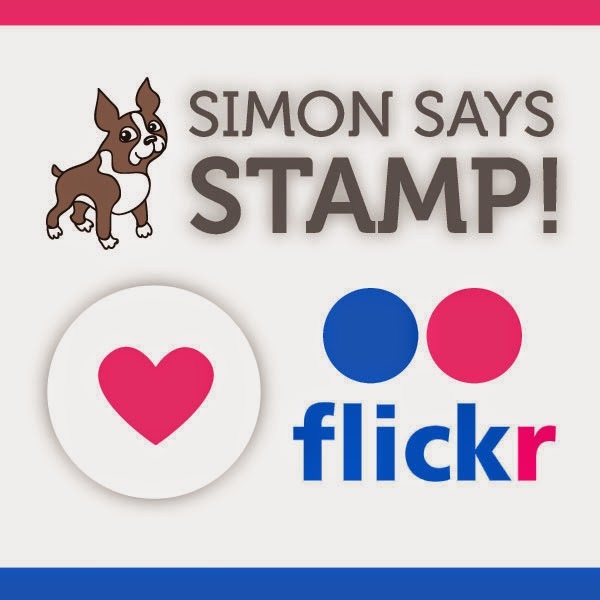 Stamps: Lawn Fawn, Simon Says Stamp. Circle stencil, twine, eyelets, SSS Die. 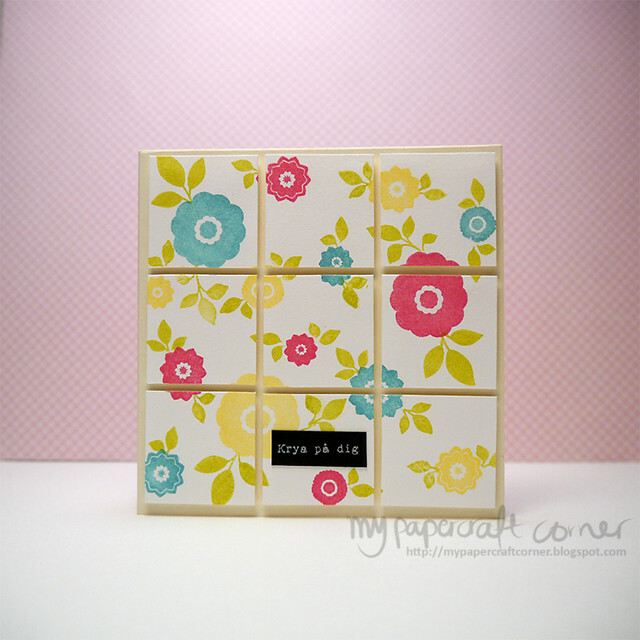 Today I'm sharing a card with some paper piecing made with the pretty stamp from Two Paper Divas. 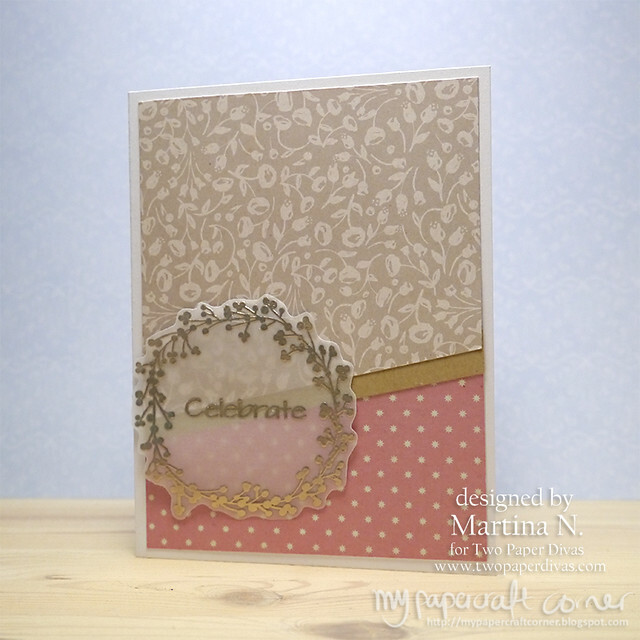 I stamped the sentiment on a colored chipboard tag. 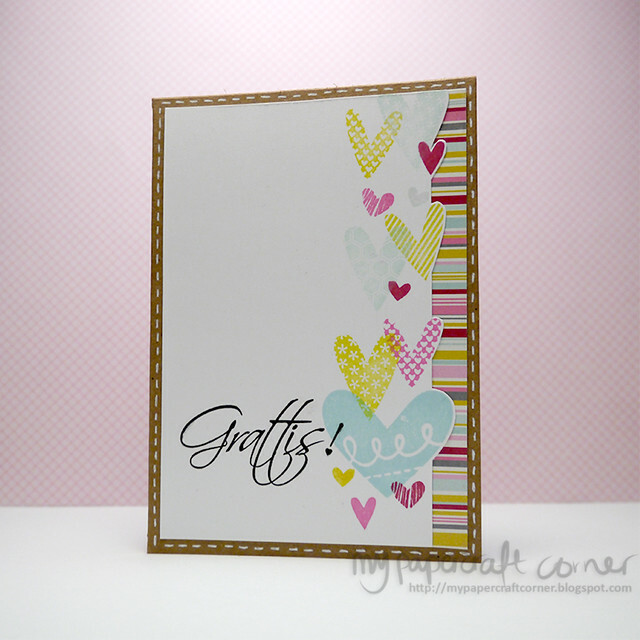 Today I'm sharing a card with bright colors. It's based on a sketch from Kortskissen #308 and I used stamps from WPlus9 and Gummiapan and inks from Avery Elle, and Colorbox. I coated the flowers with the Wink of Stella Clear Glitter Pen but unfortunately it's hard to see in the photo. Please go and check out the other beautiful interpretations of the sketch Kortskissen #308. 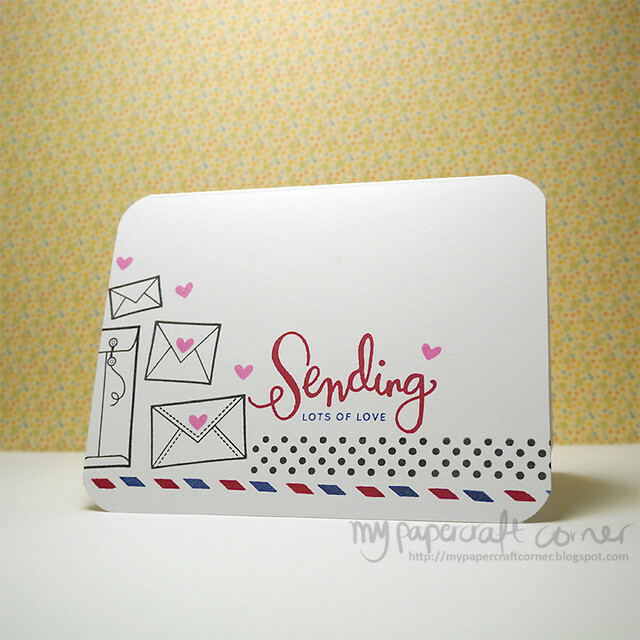 Today I'm sharing a card made with stamps from Two Paper Divas. I love the cute little owls! I watercolored them and the background with Kuretake Gansai Tambi Watercolor. I entering the card in the Addicted to CAS Challenge #64 where there is an animal theme. Ink and colors: Kuretake Gansai Tambi Watercolor. Versafine Ink. Other supplies: White gel pen.